I thought I’d look today at two versions of the soul classic, “Wrap It Up”. 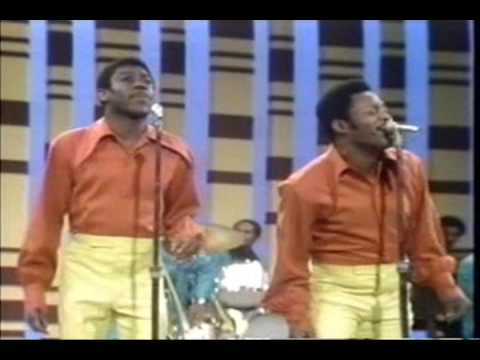 It was interesting to be reminded that the The Fabulous Thunderbird’s song was originally a hit for Sam & Dave. Now to compare the Thunderbirds’ version with Sam & Dave’s. You’ve got to give it up for Sam & Dave. Funky; front and center. The Stax house band is incredible, and those tight ensemble horns. Put it all together – sheer excitement. The Thunderbirds’ version is nice. Jimmy Vaughan and Kim Wilson kick it. I have to say though, I don’t care for the Thunderbirds’ video. (You’ll have to look that one up for yourself – or not.) The cars are nice – I guess. The T & A makes it hard to take them seriously. What’s up with that? Listen to the Sam & Dave original here. Listen to the Thunderbirds version here.